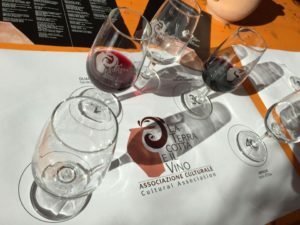 Featuring the World premiere of a meeting between Portuguese and Georgian Amphora wine producers with the comparison of traditions linked to the practice: how the Georgians bury their wine jars called “Qvevri” underground and the Portuguese stand their “Talhas” upright in their cellars. 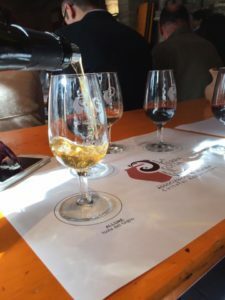 Find out how the eastern Georgians make their wine using 100% of the skins and fruit of their grapes whereas in western Georgia only a third of the skins are used and how the Portuguese during fermentation punch down the cap of skins and seeds, that forms on top of the wine, with simple wooden batons. 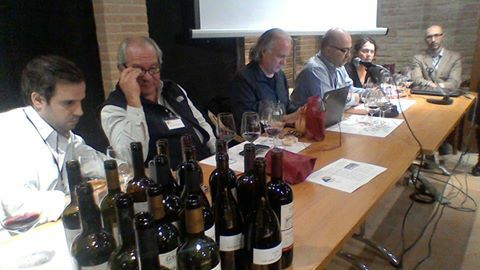 Learn about the proposal made by Marzio Cresci, the Director of the Archaeological Museum of Montelupo, to set up a network of museums to divulge information about the combination of terracotta and wine and finally the guided tasting session of wines from the Italian islands, specifically from the Tuscan island of Elba and from Sardinia. 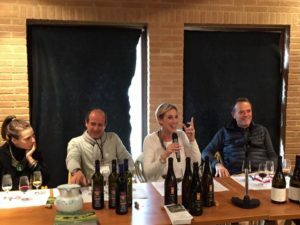 Those who were present at Terracotta and Wine 2016 can look back at the conferences, which also went live on Facebook during the event itself. They are now being shown again on the video page of Artenova’s website. For those of you who were unable to be there last November, here’s the opportunity to hear and see for the first time, the protagonists of the two-day event at Impruneta. Traditions, customs, ancient and modern methods of processing grapes and wine, new enlightenments on the practice of winemaking in amphora or just to catch up on proposals for new partnerships (museums, wine and terracotta) launched during the conference on the first day. … And if possible, find the ghosts of the perfumes and flavours of the Amphora wines – over one hundred labels- showing at the event.